What’s not to adore about the French and their language? Isn’t being able to read La Fontaine in French one of the bigger pleasures in life? In between the simple, but melodic baguette and the beautiful, yet morbid l’appel du vide, French is easily the most colorful language. French pronunciation makes even the most appalling of concepts sound all sweet and agreeable. Here’s how to bring it to perfection. Linguistically speaking, the reason that French language is so euphonic is twofold: first, all syllables are pronounced at the same intensity, and second, a great number of final consonants are liaised onto the next word. The result is a smooth flow that sounds like pure music. That’s why French sentences aren’t divided into stressed and unstressed syllables, but into rhythmic groups. If you’re impatient to sound just as fluent as a native speaker, it’s exactly what you should be focusing on. 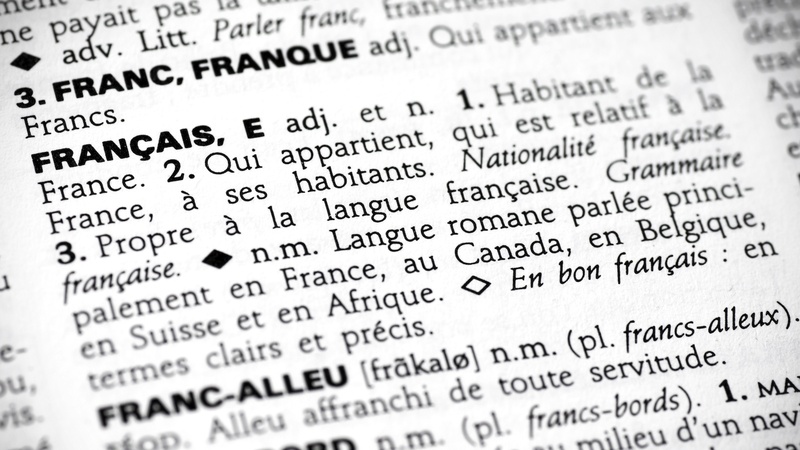 Along with the accent, intonation is what gives the French language its unrepeatable flair. Thanks to liaisons, both the French accent and its intonation are a property of the phrase rather than the word. The obligatory rising accent is assigned to the final syllable within a rhythmic group, whereas in some cases, that accent can be preceded by an early rise. Either way, the rise in accent makes the last syllable of each phrase a bit higher than the rest of the sentence. The only scenario in which the final syllable of the final phrase sounds higher is – you remembered it right – the one when you’re not declaring a statement, but asking a question. What is considered to be the most wonderful thing about this language is at the same time one of the biggest obstacles for mastering French. For conversational use, however, practicing proper intonation is pretty much essential. Of course, there’s a myriad of audiobooks to choose from (and we know how long you’ve waited to hear Fleurs du Mal in French), but don’t get ahead of yourself just yet. This type of material won’t necessarily get you far with your lessons, since you do need an audio adapted to your level. However, the French language flows very quickly, and it’s a chance you’d be able to discern any expression at all. Even with an audio that’s been recorded for learning purposes, there’s a possibility you’d need some time to understand every word. Don’t worry about it, though – what you’re trying to achieve has very little to do with vocabulary and semantics. For the time being, stay focused on training your speaking abilities and try to discern and memorize common sentences and expressions. When it comes to practicing intonation, listen and repeat is unquestionably the most effective technique. Play a passage – only a sentence or two – and try to mimic what you’ve heard. Then, repeat it as many times as necessary. Declarative sentences and questions have a different intonation in almost all languages, and French is no exception. We’ve already mentioned that this is due to the higher pitch of the last syllable in the last rhythmic group of the sentence, so be careful not to forget about it. You’ll notice it in your audio course too, but it’s important to take some time and practice this difference separately. Simply write down a number of questions followed by an answer, then read them out loud. It’s best to start with frequently used phrases like Parlez-vous anglais? (Do you speak English?) and, perhaps, Pouvez-vous parler plus lentement? (Could you speak more slowly?) – that way, you’ll be able to practice intonation while simultaneously learning basic communication. Just like our eyes sometimes tricks us, you’re always shocked when you hear yourself on a recording, but it is in fact exactly what you’ll need to do. Without really hearing yourself, you cannot certainly know whether you’ve improved your intonation or not. Record your voice while reading or speaking out loud, then analyse it to pinpoint mistakes. After all, learning by trial and error is always the best way. In case your French isn’t at all so bad, but you still need to improve your pronunciation and intonation, finding someone to practice with can help you perfect what you already know. That person can be someone from your surroundings, but you can also look for a language study buddy online. Be careful about who you choose, though. Ideally, your study partner should be a native speaker, or at least someone with advanced linguistic knowledge and plenty of practical experience. It goes without saying that the two of you should be able to communicate in a language other than French, be that your mother tongue or some other language in which both of you are equally fluent. Not only will you be able to learn new tricks, but you’ll also stay ahead of your schedule. It’s what study partners do, after all - eliminate mistakes and exchange strengths by motivating and challenging each other. And, when it comes to learning conversational language, fully interactive study sessions always yield the best results. Luckily for you, French is considered to be one of the easiest languages for English speakers to learn. If it seems a bit too hard in the beginning, it should! Just keep practicing and don’t give up. An average learner needs around 1-2 years to become fluent, which is really no time at all when something so delightfully convoluted is in case. I am a Team Leader, Creative Writer and SEO Marketing Manager with a Master’s degree in English language and literature from the University of Belgrade.